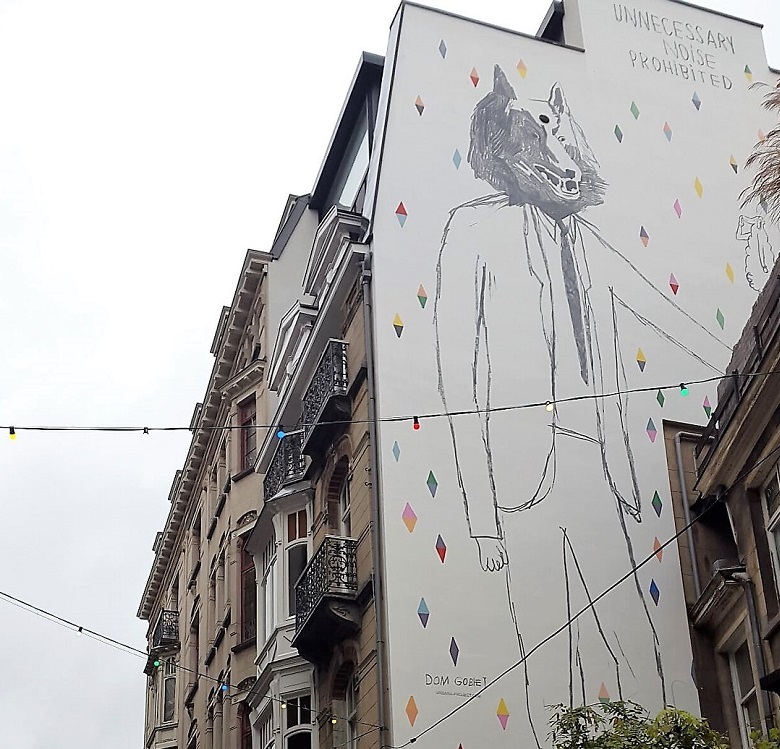 This mural by Dominique Goblet was inaugurated on Saturday 10 November 2018 at the Rue Saint-Jean Népomucène (Alhambra quarter in the centre of Brussels). The choice fell on this artist after a participatory process between the residents and the neighborhood committee. Dominique Goblet is a Belgian illustrator and author of comic books. Her Franco-Belgian publisher Frémok is known for its avant-garde line, which is also reflected in the drawing she chose from her work Les hommes loups. The comic book wall is called Le grand loup qui porte le mouton (The big wolf carrying the sheep).